Ms. Karen Bucci (4th Grade), who holds a Black Belt in Karate, led students through a basic karate skills session. Ms. CJ Meehan (Preschool), who has been trained by Mindful Schools, showed a brief video called “Just Breathe” then led students through the creation of individual mind jars. 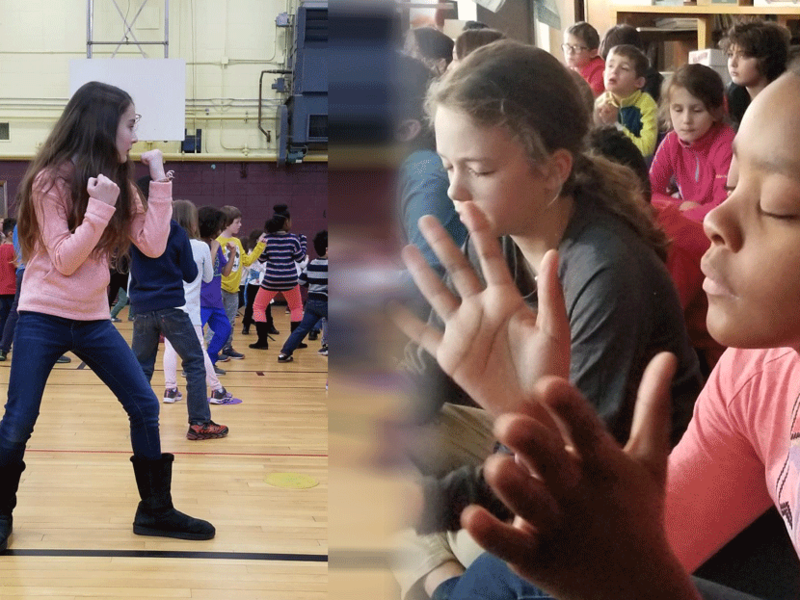 Nurse Sara Blessing (School Nurse) and Señora Klassen (Spanish) shared Mindfulness stories such as “Lemonade Hurricane” and “Happy Panda Mindful Monkey,” and led students through a short yoga activity. Kindergarten students were absent this day due to the incoming Kindergarten screenings. They will have the unique opportunity of being led through the karate, Mindfulness, and yoga experiences by the 1st and 2nd graders on Friday, January 25th. The 3rd through 5th graders will be participating in the Geography Bee at that time.